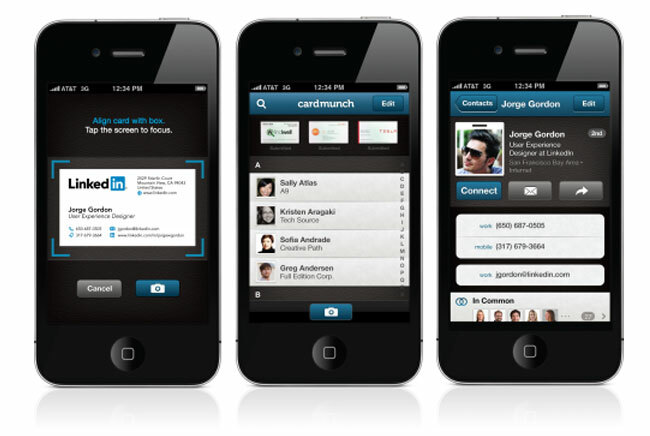 LinkedIn the business-related social networking site has this week launched a new Card Munch application for iOS devices that takes the pain out of adding contact from business cards. CardMunch will take a photograph of a business card you have been given and transform it in to a digital text adding the contact to your address book contacts, and then adding them as connections on LinkedIn. By using the new CardMunch app, you now have access to deeper and richer information about the person behind the card — via the LinkedIn profile — who you know in common, where they’ve worked, where they went to school, and much, much more! The new CardMunch iOS application is now available to download from the Apple App Store for free.